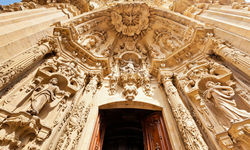 San Sebastian and Bilbao are the two main cities of the Basque Country, or Euskadi as it is known in the Basque language. 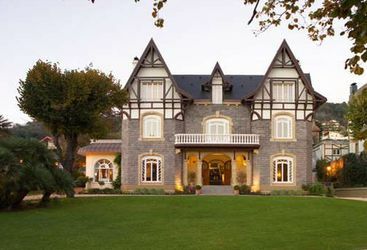 Situated within an hour's drive of each other on the Bay of Biscay, both cities are very different in character, and to make the perfect driving circuit, we also recommend exploring the Basque hinterland and the Rioja winemaking region to the south. 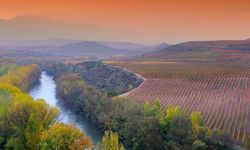 The Basque Country is also renowned as the gastronomic heartland of Spain, and the cities offer everything from superb restaurants to simple tapas bars. 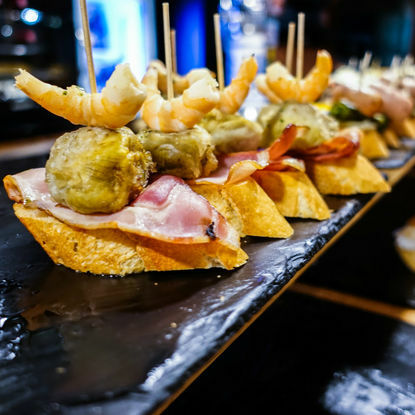 Indulge in a txikiteo (tapas crawl) and sample the delicious local cider and busy nightlife. We have selflessly visited the best restaurants and tapas bars in order to recommend the best in our detailed dossiers on the region. 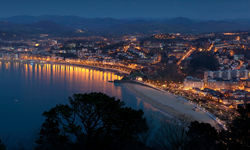 San Sebastian (known as Donostia in Basque) has a scenic position at the foothills of the Pyrénées, close to the French border. Set around a sheltered bay, the town became a fashionable coastal resort in the 19th century and has a relaxed, small-town feel, with wide streets and elegant buildings. 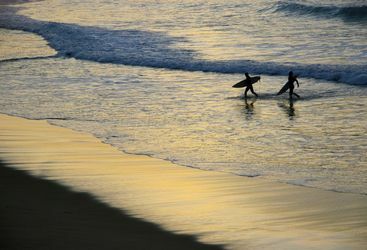 There are several good beaches, including the golden sweep of La Concha that arcs around the edge of the bay, and good surfing on Zurriola beach next door. 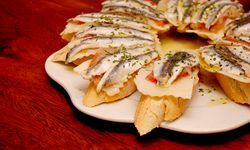 There are also plenty of good, simple eating houses, and the narrow streets of the Parte Vieja, or old quarter, have one of the greatest concentrations of bars in Spain. 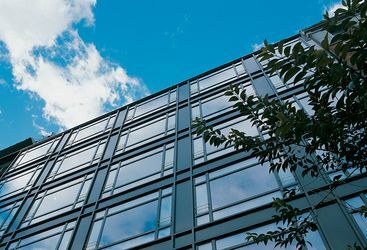 Bilbao, the larger of the two cities, has been transformed in recent years by an ambitious programme of urban renewal that has rescued it from post-industrial decline. The most striking symbol of this revival is the famous Guggenheim Museum with its shimmering titanium shell, moored like a ship on the banks of the Nervión River. Outside the museum is Jeff Koons' equally iconic, kitsch floral sculpture of a giant puppy. The Guggenheim is by no means the only show in town, however. There are other good museums, notably the Museo de Bellas Artes, the Mercado de la Ribera - the largest covered market in Spain - good shopping and a cityscape further transformed by new architecture from the likes of Norman Foster and Santiago Calatrava. Away from the cities, we highly recommend exploration of the rest of the Basque country, with its extraordinary language, long history and proud local culture. 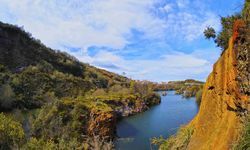 We can create self-drive itineraries that include places such as the salt marshes, sea cliffs, forests, beaches of the UNESCO protected Urdaibai Biosphere Reserve; the town of Ordizia for gastronomic markets and cheese tastings and the fishing village of Ondorroa to see the tuna boats being unloaded and the vibrant fish market. 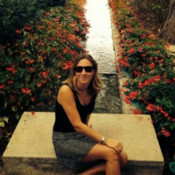 Thanks to our little Basque book of contacts we have access to superb local guides who can real insight into Basque culture and arrange access to San Sebastian's famous (and famously secretive) gastronomic societies. Needless to say, we can also book tables in the best of the very good bunch of restaurants. 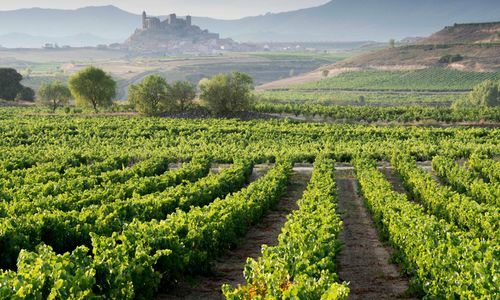 Further south lies Rioja, one of the world's most famous winemaking regions. Original Travel can arrange vineyard tours and wine tastings at some of the most famous producers, but there's also an extraordinary place to stay in the Gehry inspired and designed Hotel Marqués de Riscal, surrounded by the vineyards of that particular famous winemaker. 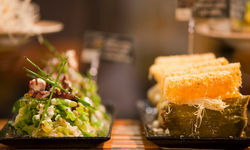 Experience San Sebastian, Spain's culinary capital, on a world-renowned pintxos tour. 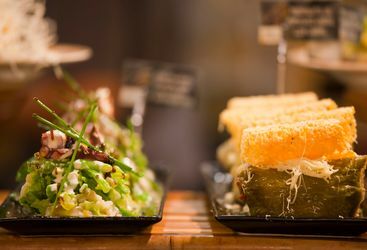 Pintxos (Basque tapas) can be found in every bar but with your guide's know-how, you'll sample the finest selection on offer from fresh baby squid and bacalao to perfectly charred meats. Thirsty? Not to worry - each pintxo comes paired with a local wine or cider. 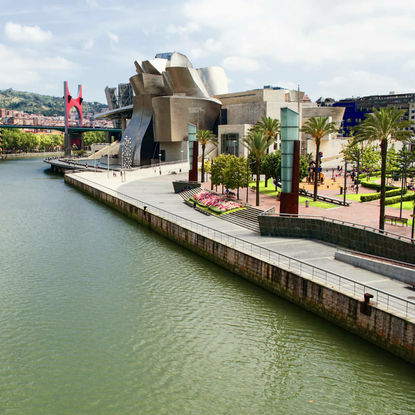 Visit the Guggenheim Museum Bilbao, one of the finest examples of contemporary architecture on the planet. From the outside you can admire two great sculptures, a giant spider created by Louise Bourgeois and a Jeff Koons 40ft-tall puppy fashioned out of flowers. 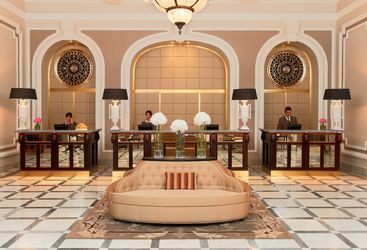 Inside, peruse an art collection that's just as captivating as the building fashioned out of swirling titanium forms. 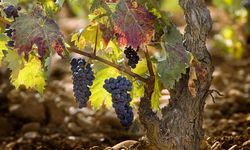 Take a tour of the Bodegas Valdelana, a family-run winery and olive factory located in the village of Elciego, the birthplace of Rioja. Enjoy a history lesson in the on-site museum, converted from a former wine cellar, parts of which date back to the 15th century. Afterwards you'll get to taste flavourful olive oil dipped in bread and four distinctly different riojas. It was a tough job, but someone had to trawl all the pintxos (Basque for tapas) bars in San Sebastian to let you know which were the best. 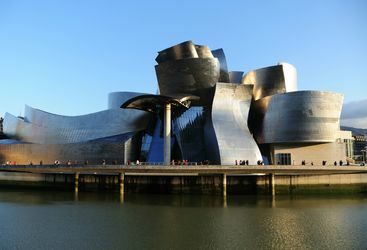 The most striking symbol of Bilbao’s transformation from decaying industrial backwater to hip international metropolis is the Guggenheim Museum. 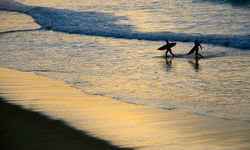 There’s something innately sophisticated about surfing on a beach break slap bang in the centre of a city. 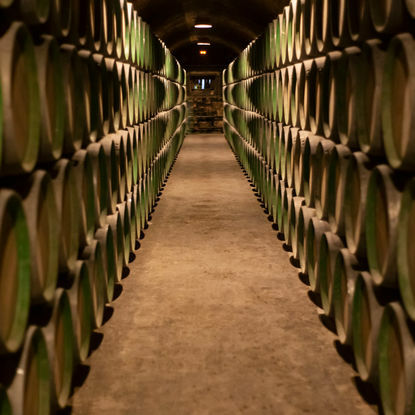 My highlight: Take a guided visit of the town of La Guardia - it's home to Bodegas El Fabulista, a large underground cellar where you'll learn about the preparation and vintage of the wine and visit the tasting area, too.